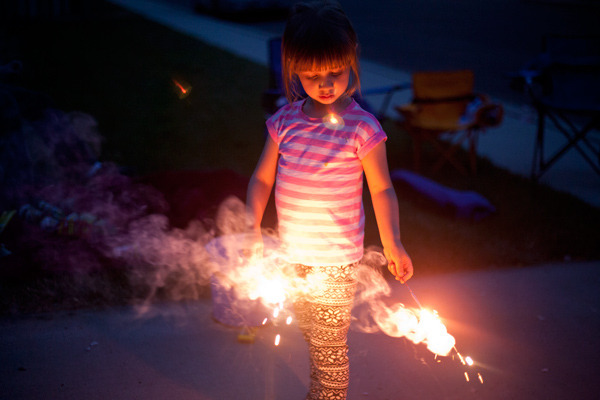 Mimi was enthralled with sparklers and had a wonderful time this year on the fourth of July. 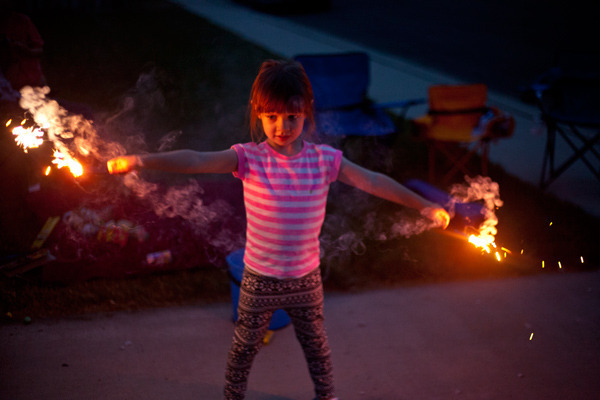 We all had a great time shooting off fireworks with friends and neighbors, except for a brief heart-pounding incident. I lit a firework that was supposed to shoot several flaming balls into the air one after another but on the first shot the firework knocked itself on its side and then swung around shooting the balls out sideways. One of them shot into our neighbor’s open garage and started a small fire, melting a model helicopter that was on a workbench! We put out the fire and no one got hurt but I felt badly about it. I’m not sure what happened; I had set the firework on a flat spot. Overall it was a fun and exciting evening. 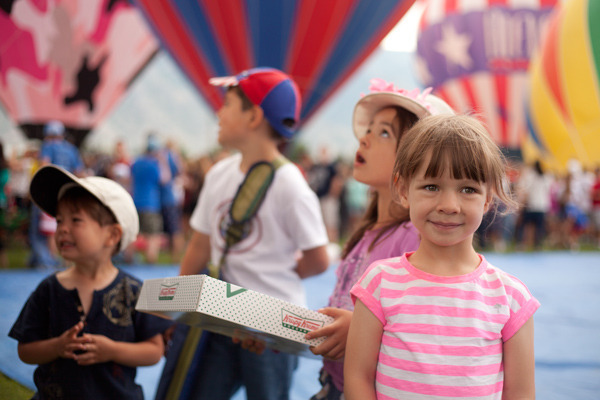 The city of Provo hosts a big festival every 4th of July and one of the main events is a hot air balloon launch. I’ve always wanted to attend but we are really not early-risers if we can help it (especially N) so it never seemed like the right time. But this year our friends and neighbors were going and graciously offered us the two extra seats in their van so Mimi and I rolled out at bed at 5:10am and tagged along. There were around 12 hot air balloons spread out on the ground in a field behind Provo High School waiting to be inflated. People sat on blankets and camping chairs hanging out and waiting. Unfortunately it was too windy for the balloons to launch but the crews still inflated them to show them off to the crowd (and then deflated them). 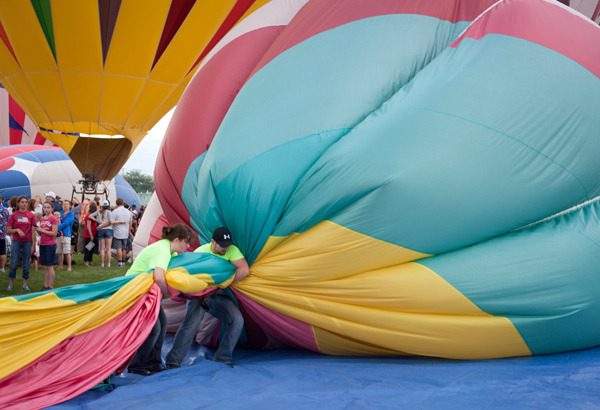 A crew squeezing the air out of a deflating balloon. It was fascinating to see the crews inflate the balloons. 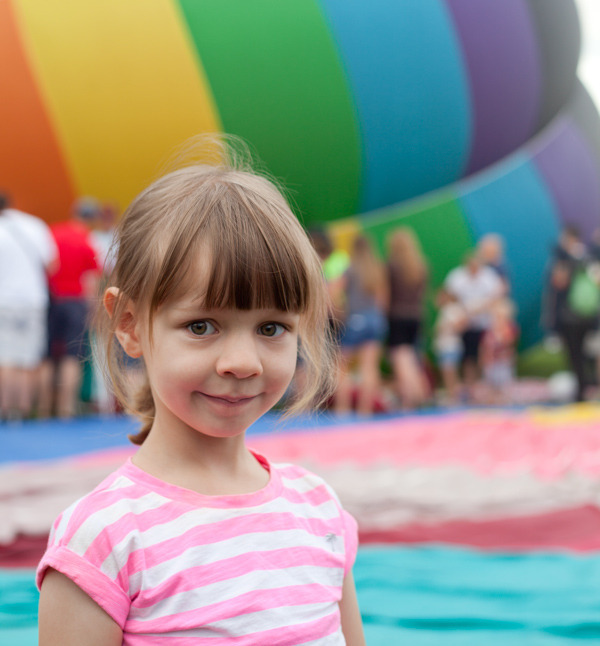 It was crowded and people were able to stand close to the balloons as they went up. The heat coming off the burners was intense; we could feel it on our faces. 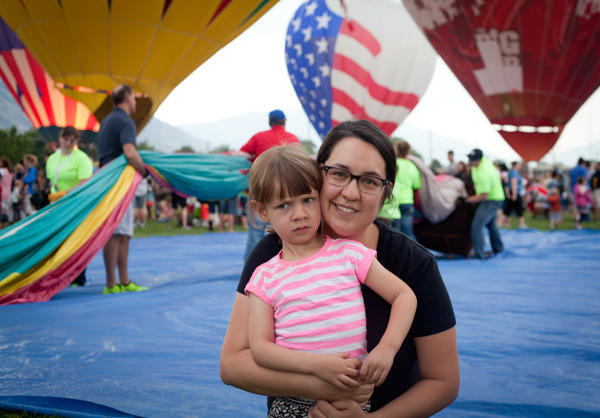 I didn’t mind that much that the balloons couldn’t launch since watching them inflate was so interesting but Mimi was a little bummed as you can see in the above picture. Later that day we were driving on the freeway past some windmills and she indignantly said, “They should have turn off those windmills so the balloons could’ve taken off!” and cracked us up. Early morning wake up aside, it was great. I would definitely attend this or another balloon launch again if I have the chance. 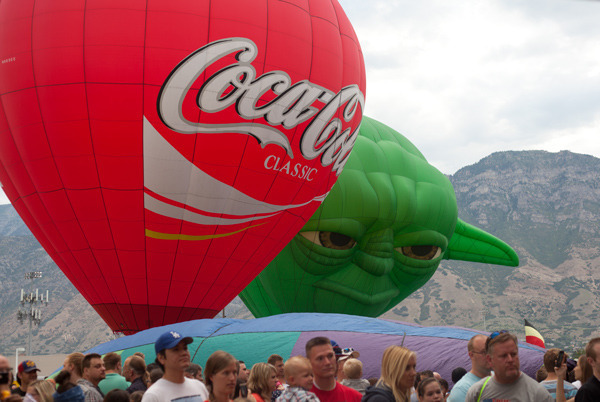 If you’re in Utah the city of Sandy is having a balloon festival on August 7th and 8th, including a “balloon glow” in the evening. 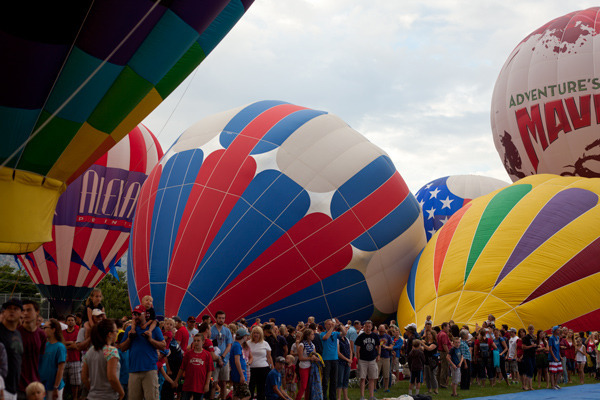 The website says that some of the pilots will need help so if you come early you may be able to volunteer to help crew a balloon–how cool would that be? At the end of last month Mimi turned four. It was a crazy time with Sundance going on and N being out of town for work but we made sure to celebrate and had a birthday dinner for her with N’s parents. I’m not sure where she saw one but when I asked her what cake she wanted Mimi immediately replied, “a rainbow cake!” Since all our birthday cakes need to be vegan because of E’s food allergies I ended up using a white cakemix with Vegg egg-replacer and then tinting the batter with food coloring. Trendwatch: painting your dining room to match your children’s eyes is all the rage for spring! I’m so grateful to have this little one in our family. She is full of joy and sweetness and sass and her laugh is the best sound in the world. Christmas this year was a low-key affair. Both N’s parents and my sister Jan live nearby but were out of town so it was just the four of us. Things were very relaxed (the kids stayed in their pjs all day!) which was nice after the craziness of the last few weeks. We are starting to decided on our family traditions. Every night in December we read a scripture about Christ. And on Christmas Eve we watched The Christmas Story with the kids. So far this December has been one of the warmest in record so waking up Christmas morning to a thick blanket of fresh snow, just like in the movie, was magical. 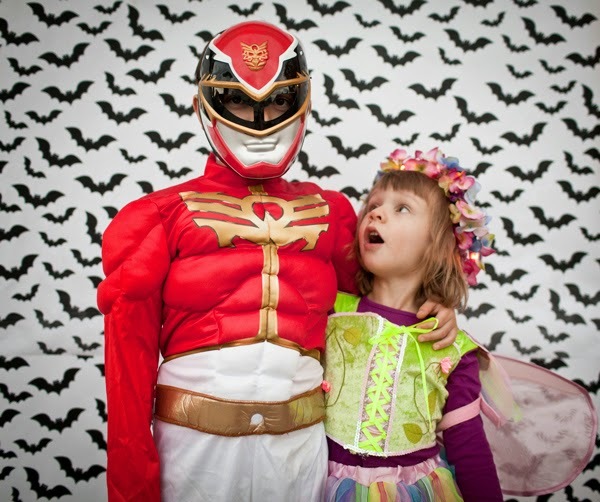 One of most memorable aspects of this Christmas has been the kids’ excitement about Santa Claus. It was the first year that either of them really believed in him. We took the kids to visit Santa at a local outlet mall and he was really great. There wasn’t a line so he spent a lot of time with each of the kids asking them if they had been good and talking over what they would like for Christmas. E had his heart set on Little Big Planet 3, the next video game in a series that we play with him, but also told Santa that his dad didn’t have an iPad and asked Santa to bring him one. Santa didn’t come through on that one but it was sweet of E to request something for N.
Mimi took a little while to warm up for the photo but Santa was great and got her to smile and we ended up with this photo which I love. Mimi had had her preschool Christmas concert earlier that day and I scheduled our visit for that same day to get the most out of the holiday cuteness. Seeing how excited the kids were about Santa, N and I took care to make things special. I bought Santa wrapping paper that we wrapped those gifts in, taking care to dispose of the leftover paper so it wouldn’t be found. (I distinctly remember the moment as a child when I was poking around the mall shop my parents used to own and found the wrapping paper Santa had used on our presents; I immediately realized my parents had been behind the whole thing. So now I wanted to avoid something similar). 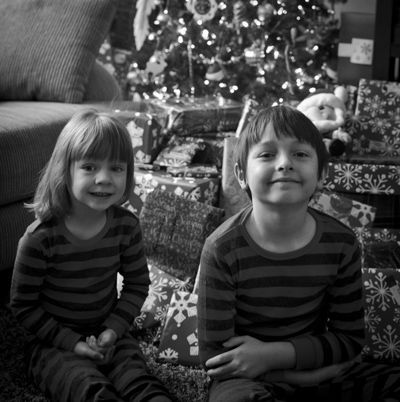 The kids were so excited on Christmas morning. E opened his game right away and was over the moon. Mimi’s gift from Santa was tucked behind the tree because the box was bigger and after a few rounds of opening presents from family she suddenly looked up a little teary and asked about her “pony castle.” She realized that Santa had brought E his gift but didn’t see hers anywhere and was a little crushed. 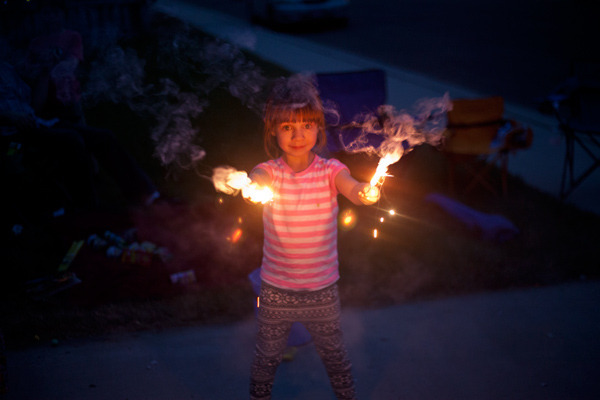 Right away we pulled it out for her to unwrap and all was right again with the world. She loved it. I don’t know if E will believe in Santa next year. This year he told us that kids at school were saying that Santa wasn’t real (Thanks, Ellie!) and that he had some doubts. But it was touching to see him choose to believe and enjoy the magic of that aspect of Christmas. It was a lovely Christmas for all of us. 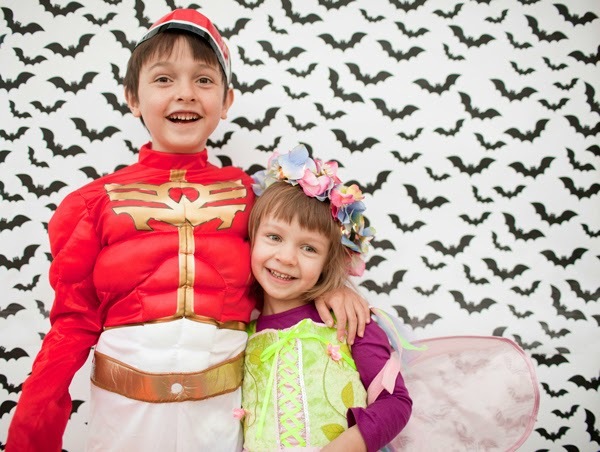 Things were crazy last week leading up to Halloween: besides getting ready for E’s class party we also decided to have our crumbling driveway resurfaced and work begun on finishing a bedroom/playroom in our basement. We had to stay off our driveway/walkway/porch while the cement dried and it was down to the wire for having it ready for trick-or-treaters. There’s no rest for the weary, though. E’s birthday is this week for which he is having his first birthday party at home. So I’m cleaning up and getting ready for that. Thank goodness that after this week there’s nothing on the calendar for the next few months…ha! Today was a big day around here–E’s first day of 1st grade (all-day school–ack!) and Mimi’s first day of preschool. Today has been all over the place, emotionally. I often have trouble sleeping the night before a change in my routine and this morning I bolted wide awake at 4am, 5am, and then again at 6:10am, scared that I had missed my alarm and overslept. It was my first day driving a carpool to E’s school and I was nervous about being late to pick up the other kids. E came home from school and told me about his new class. He said that he sat by a girl named Savannah and mentioned offhand that she called him “honey” and blew kisses at him and that they are BFLs (best friends for life). I think E is most excited that his classroom has computers in it which he can’t wait to use. I wonder if they get to play The Oregon Trail in first grade. 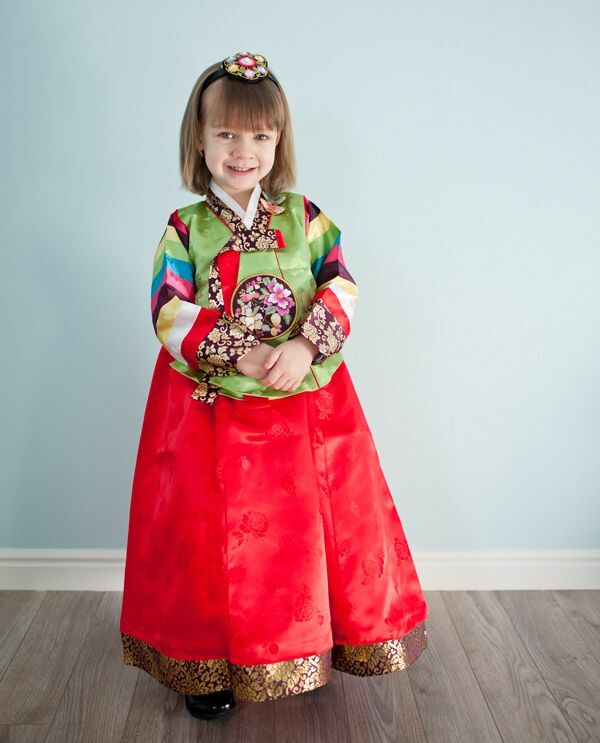 Mimi has been looking forward to going to school for the past year. She loves hanging out with other kids and has always been fairly independent so I knew she would have a fun time at preschool. As soon as we got to the classroom she went right in and started playing toys without even a backward glance. There are 3 parades every year (one just with horses, one with mini floats, and a grand parade) and this year we decided to bite the bullet and attend the main parade for the first time. One of N’s coworkers’ parents live right on the parade route and she graciously saved us front row seats.The kids had a blast and went nuts every time a float threw candy their way.